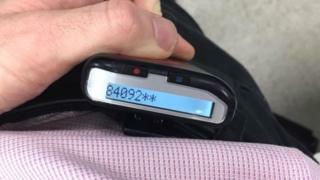 The NHS has been told to stop using pagers for communications by 2021, in order to save money. The health service still uses about 130,000 pagers, which is about 10% of the total left in use globally. They cost the NHS about £6.6m a year, because only one service provider supports them. Health Secretary Matt Hancock called them “outdated” and said he wanted to rid the NHS of “archaic technology like pagers and fax machines”. The pagers used in the NHS today are mostly one-way communication devices that can receive short messages but cannot send replies. To send a message, staff call either an automated phone line or speak to a dedicated operator. The recipient’s pager will beep and display the message or a phone number to call. In order to call back, the recipient must use a mobile phone or find a landline. Pagers were widely used in the 1980s, before mobile phones and two-way SMS text messages became more popular. Vodafone ended its national pager service in March 2018. 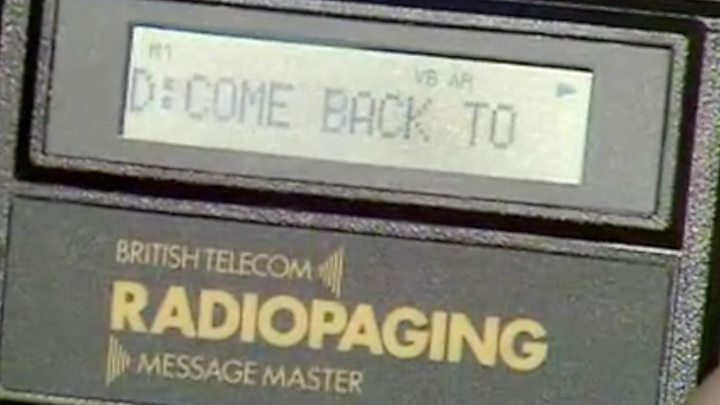 Capita’s PageOne is the last remaining pager network left in the UK. Why does the NHS still use pagers? One doctor told the BBC that the pager system is useful in emergencies, for example if a patient goes into cardiac arrest in a hospital. Sending an alert to several members of the cardiac arrest team can take less than a minute, which is critical in an emergency situation. The pager network uses its own transmitters, so messages are typically delivered reliably and quickly. NHS trusts will be allowed to keep some pagers for emergency situations, for example if the wi-fi or mobile networks went offline. But Mr Hancock said “email and mobile phones” were a “more secure, quicker and cheaper way to communicate”. “We have to get the basics right, like having computers that work and getting rid of archaic technology like pagers and fax machines,” he said. In 2017, the West Suffolk NHS Foundation Trust ran a trial and replaced its pagers with an app called Medic Bleep. The app let staff message and call one another, individually or in groups, and worked on phones, tablets and desktop computers. The Department of Health and Social Care described it as “similar to WhatsApp” but with enhanced security, and said it had saved doctors time. The Trust is now “weeks away” from removing non-emergency pagers at its main hospital. An investigation in 2018 found that the NHS was still sending documents from around 9,000 fax machines, which Mr Hancock also hopes to phase out. Could Kevin be next emerging top online entrepreneur in Nigeria?